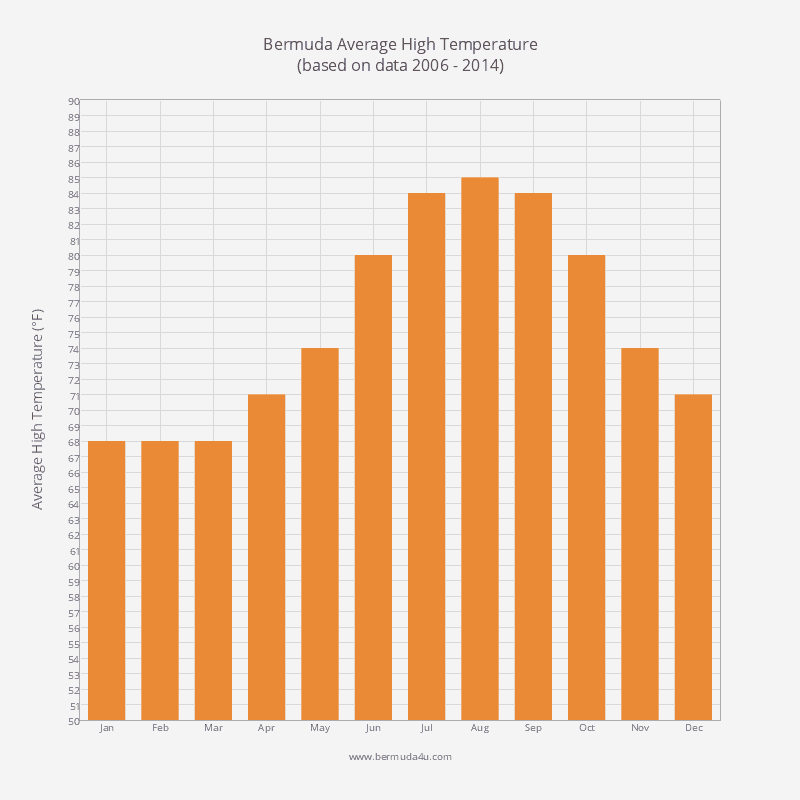 December falls within the island’s low season, though with an average daily high of 70 F throughout the month, the festive period in Bermuda is considerably warmer than many other countries. It’s a good time to visit if you’re looking for a cheap vacation as hotels offer lower rates at this time of year. The water temperature averages 68 F and it’s a little cool for swimming and snorkelling. Divers should wear a full wetsuit. Underwater visibility has increased to 175 feet. 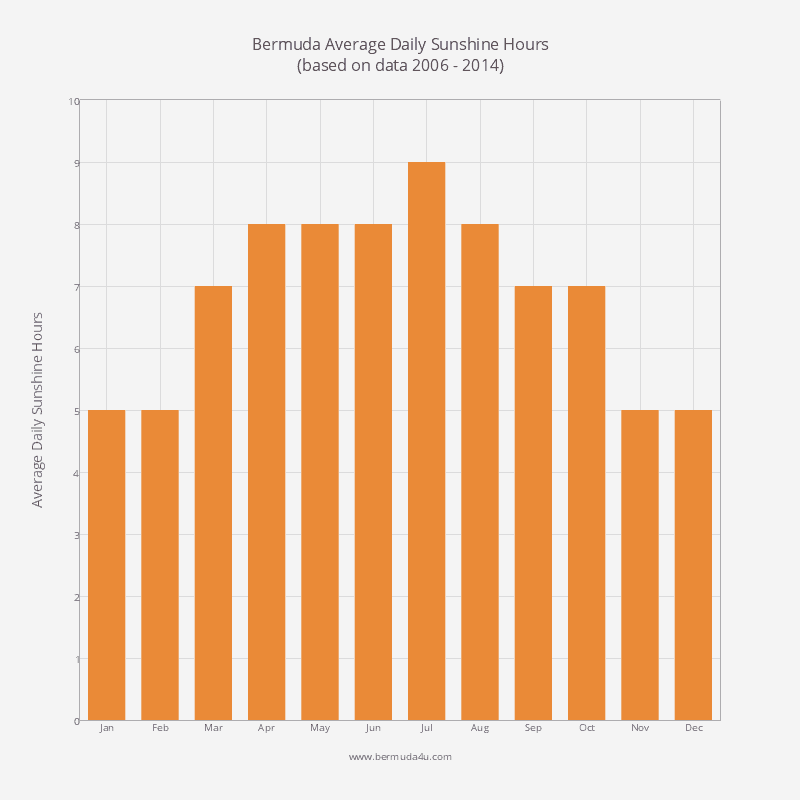 Visitors can expect around five hours of sunshine every day, a couple of hours less than the annual average. The sun rises around 7.15 am and sets at approximately 5.15 pm. Both rainfall and humidity are below average. Hurricane season ended in November. 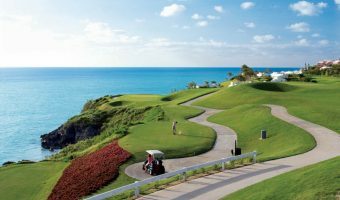 Events taking place in December include the Bermuda National Trust’s Christmas Walkabout in St George, the Bermuda Goodwill Golf Tournament, and the Christmas Boat Parade in Hamilton. On Xmas Day many expatriate residents celebrate on Elbow Beach. Organised New Year’s Eve celebrations are held in both St George and Hamilton. The Department of Tourism organises a busy programme of smaller events to cater to low season visitors. They include tours of historic buildings, golf tournaments, cultural demonstrations, and more. For further details visit the official Bermuda tourism website and search the events calendar. The month also falls within the island’s lobster season. Visit restaurants such as the Lobster Pot to try Bermuda’s spiny variety. 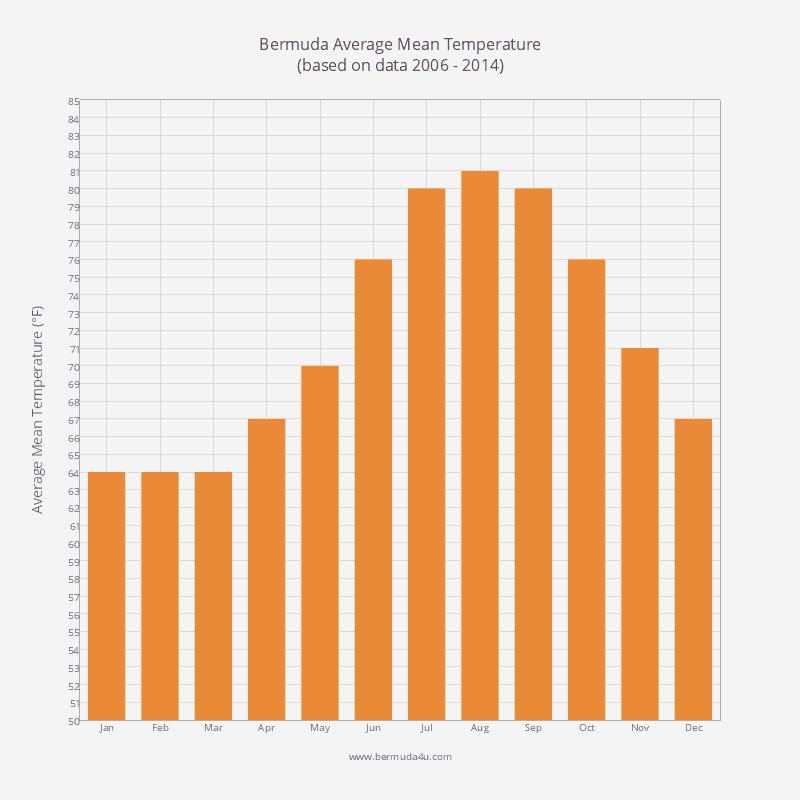 With an average daily high temperature of 71 F, December is one of the coolest months in Bermuda. The average daily low temperature drops to 63 F, from 67 F in November. 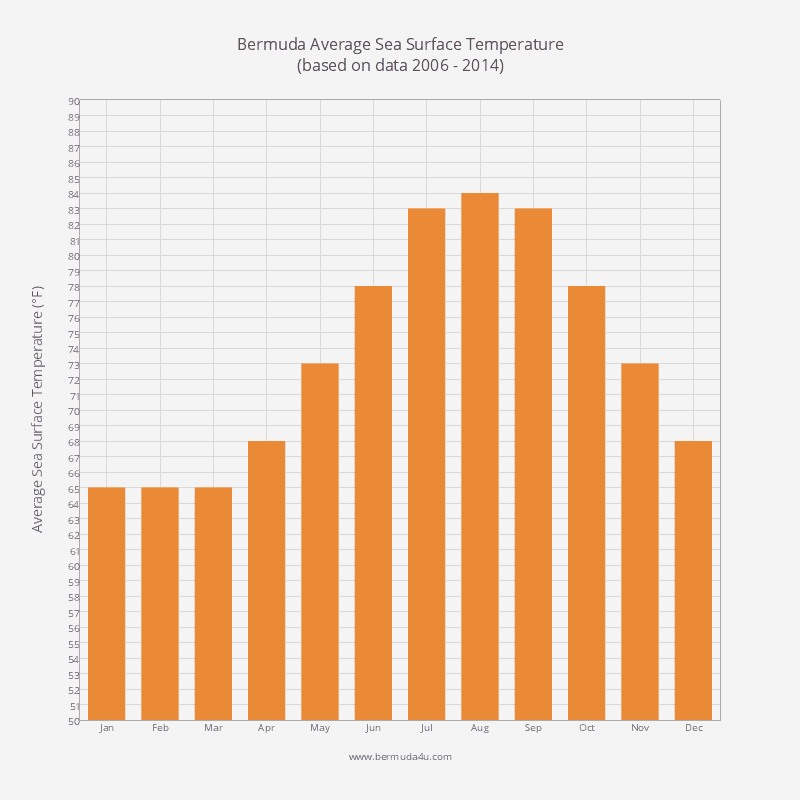 Expect the mean temperature on a typical December day to be 67 F.
The average water temperature in December is 68 F. Most locals consider this too cold for swimming. December is one of the driest months of the year. 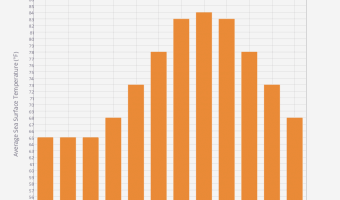 In the last few years, monthly rainfall has averaged just three inches. On a typical day in December, there will be five hours of sunshine. December is the least humid month of the year. 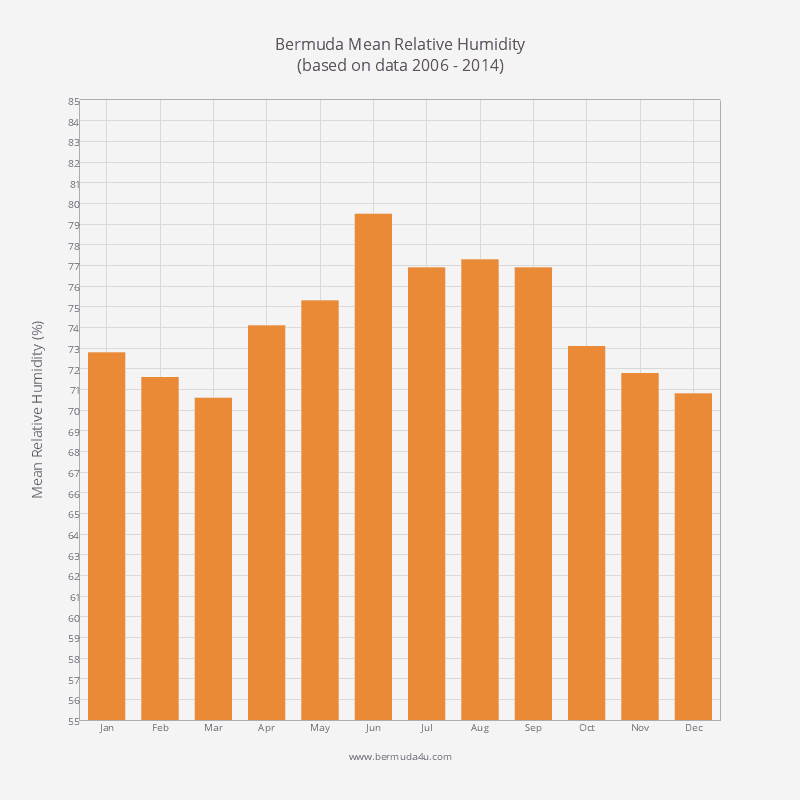 The mean relatively humidity in recent years has averaged 70.8 percent. 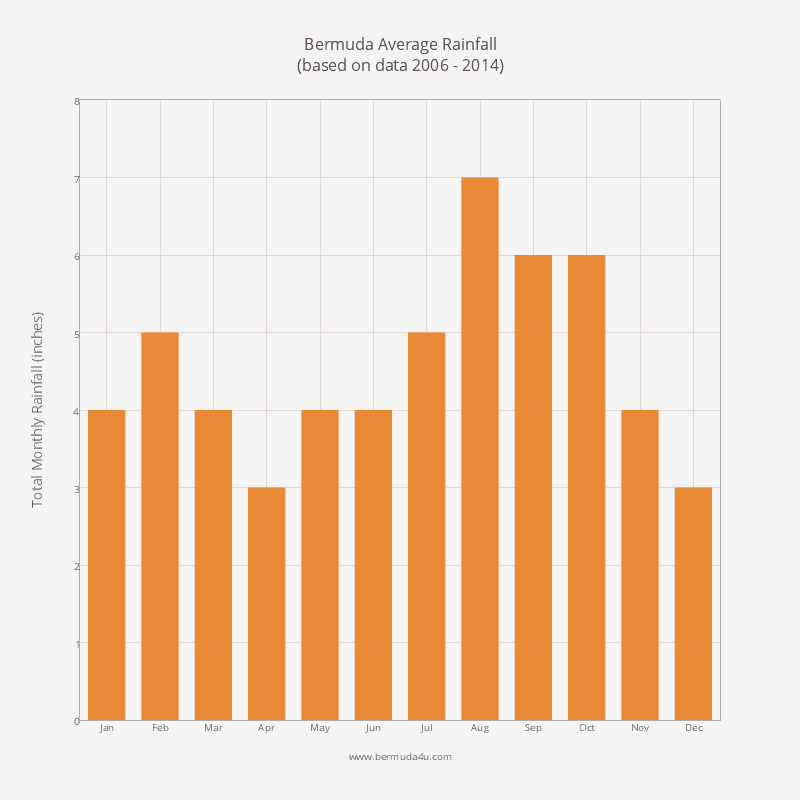 November is the final month of Bermuda’s hurricane season. Find out what the weather could be if you choose to visit the island at this time. 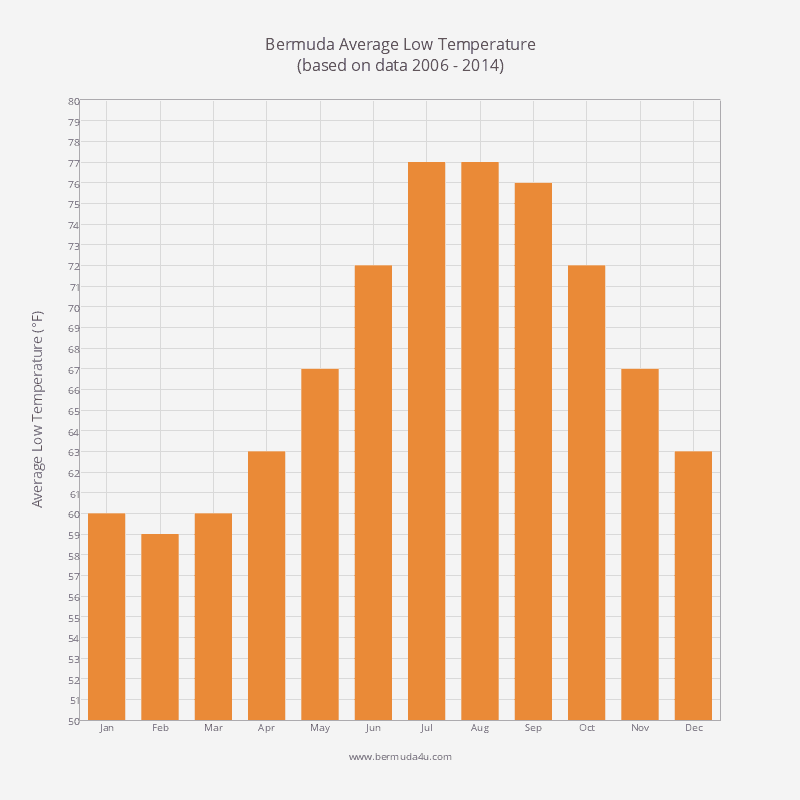 January is one of the coolest months of the year in Bermuda. 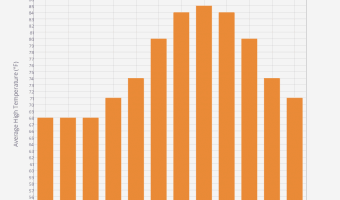 Find out the average air temperature and more. The oldest pro-am golf championship in the world.